This is a super-versatile, simple granola recipe that is naturally nut-free and allergy-friendly. You can customize it by tossing in your favorite dried fruit, nuts, or seeds. Note that the prep and cook time do not include the resting time in the oven - it slow bakes as the oven cools down. Combine the oil, sweetener, vanilla, spices, and salt in a small dish and stir to combine. Place the oats in a large bowl and stir to mix the two kinds up, then add the liquid ingredients and stir until all those little oats are nicely coated. Spread the oat mixture out on a baking sheet (preferably one with rimmed sides so the granola doesn’t slide off the sheet!) or large jelly roll pan. Place the oats in the oven and allow them to bake for just 10 minutes, not a minute more, then turn off the oven and leave the granola inside to finish baking. Don’t peak! You can leave them there while you run errands, go to bed, etc. But I found that they were done (as in the oven was cold and the granola was golden) after about 2.5 hours. So 2 to 3 hours is plenty if you are awake and remember them. 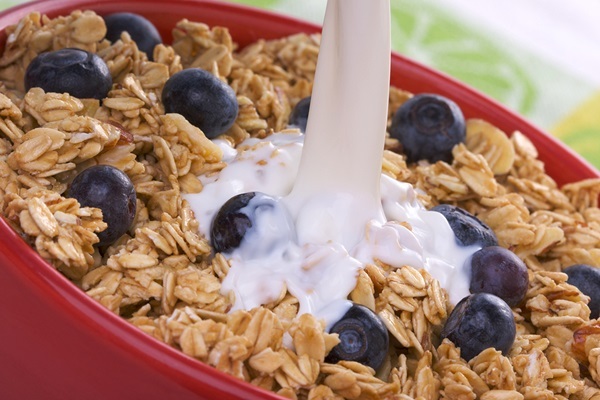 Stir to declump a bit and serve the granola doused with coconut milk beverage or atop coconut milk yogurt. Store leftover granola in an airtight container at room temperature.